My husband is a lover of Mexican food. Vegan nachos are his thing. In fact, when we go to our favorite vegan restaurant here in Dallas, he always orders the big nacho plate. He created these vegan nachos with that in mind. I promise these vegan nachos will not disappoint. They are also very easy! We used our homemade vegan cheese sauce that is cashew based and totally awesome! We used our recipe for Healthy Tortilla Chips to make the chips. If you don’t want to use chips, you can make sweet potato chips and use those instead. Simple, comfort food made healthier! Assemble the ingredients in the order they are listed. I highly recommend eating the nachos right away. They will be best fresh. Serve them topped with avocados. Yum! 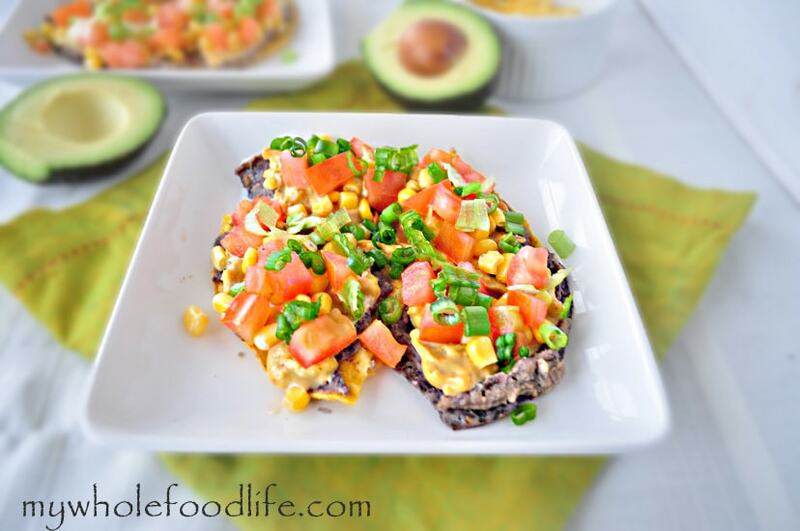 These nachos are best eaten right away. They can also be stored in an airtight container in the fridge. They should last 3-5 days. You seriously cannot go wrong with something as yummy as this! I bet it would be awesome with a hummus "cheese" sauce! Thanks! I haven't tried a hummus cheese sauce yet. We usually do ours with cashews, but I bet hummus cheese is good too! When I saw the photo, I thought "That looks almost as good as the nachos at Spiral Diner!" Then you mentioned Dallas ... we love the one in Fort Worth. I suspect that we're talking about the same restaurant. And now I'm craving Spiral Diner food ... thanks for the recipe. Yes! It was Spiral Diner! I love that place! 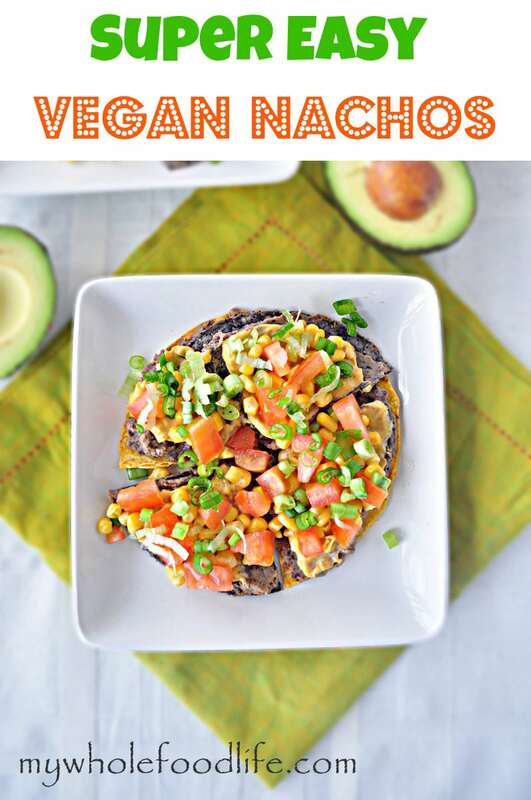 This recipe looks amazing, I'm hoping to make it this week :) I do have a quick question about the black beans: it looks like the beans are smashed in the photo, and I am wondering if you smash them with a fork in advance and top the nachos with them, or if you add any other spices as you smash the beans? Thank you!